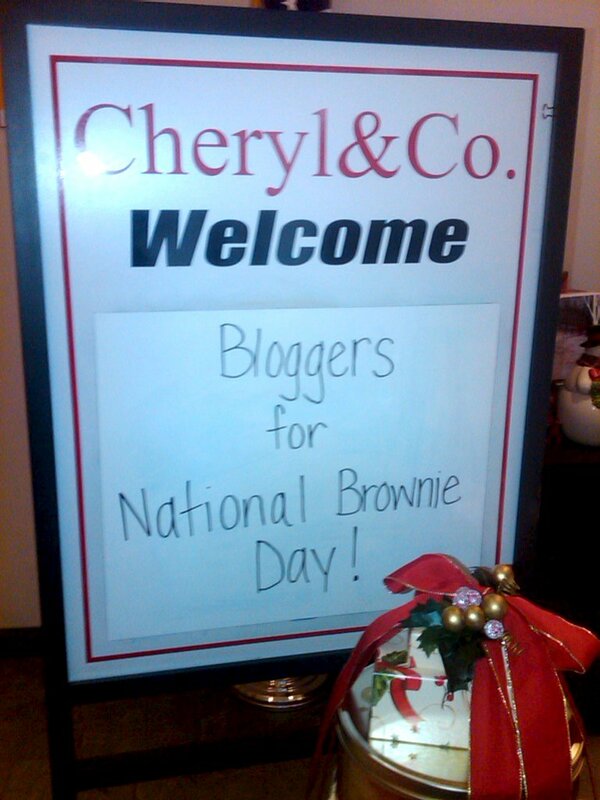 Last Tuesday I had the opportunity to go to the Cheryl & Co headquarters in Westerville, Ohio with a bunch of awesome local bloggers. I can't even begin to tell you how yummy this place smelled. 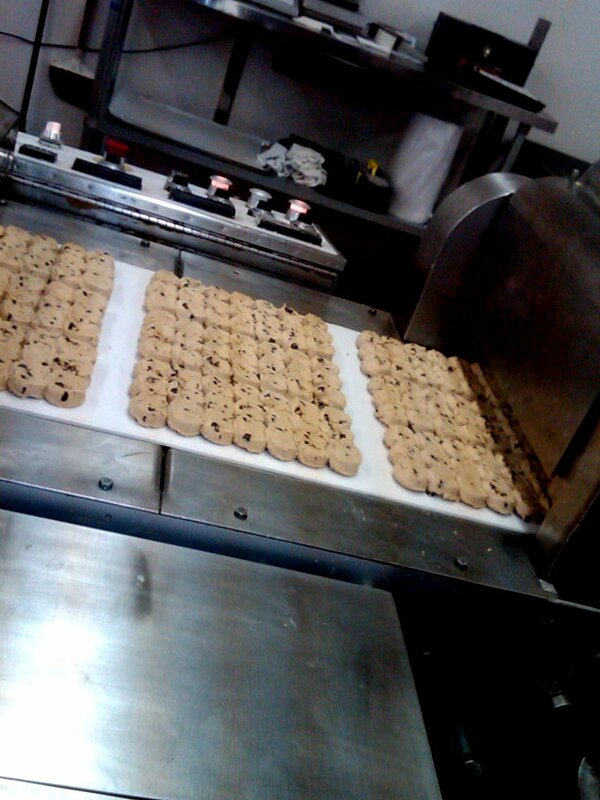 From the moment you step out of your car in the parking lot you smell wonderful yummy cookies baking. to icing. 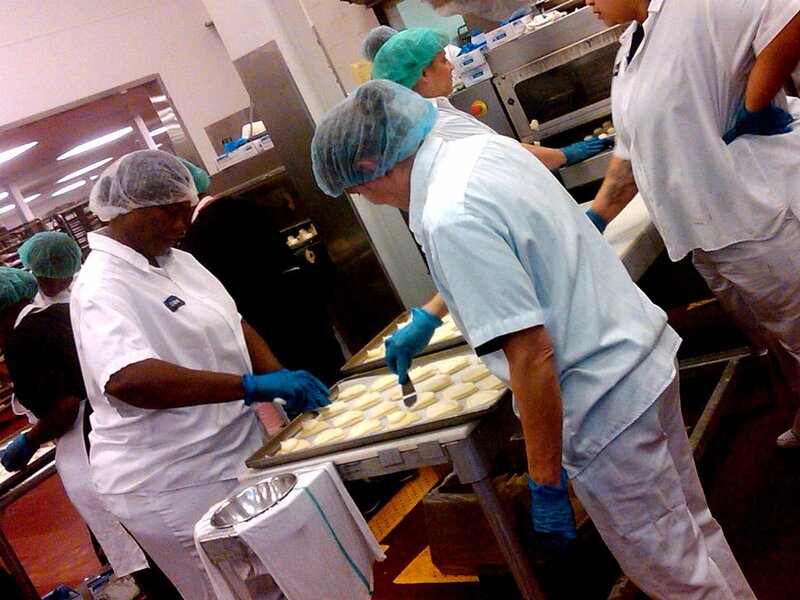 Did you realize that every single sugar cookie that comes out of the factory is iced by hand! Isn't that amazing! 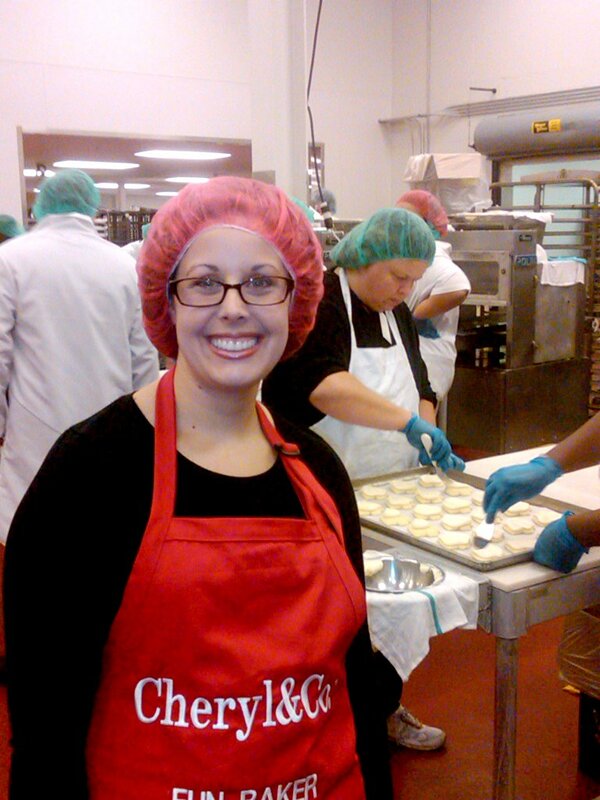 We also got to visit their test kitchen where they develop all the delicious cookie recipes. 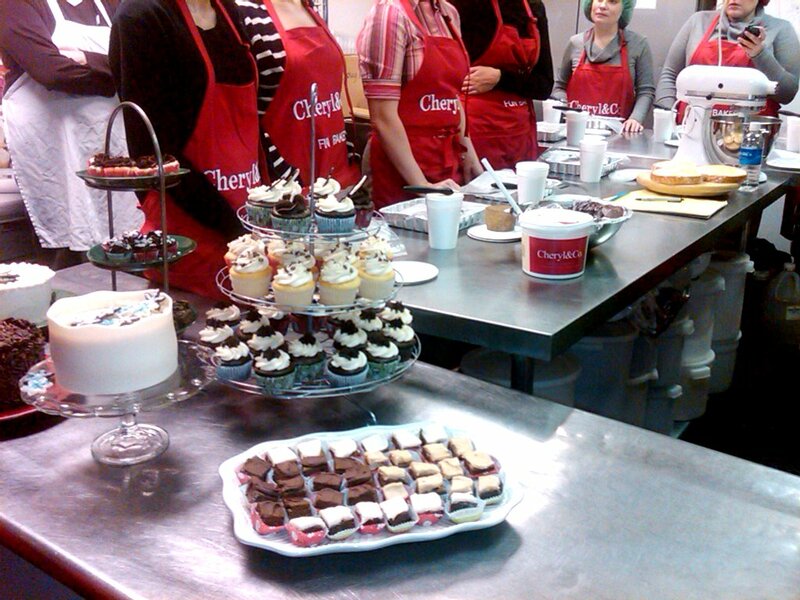 I had a blast at Cheryl & Co. Thank you so much to the entire staff for welcoming us so warmly. 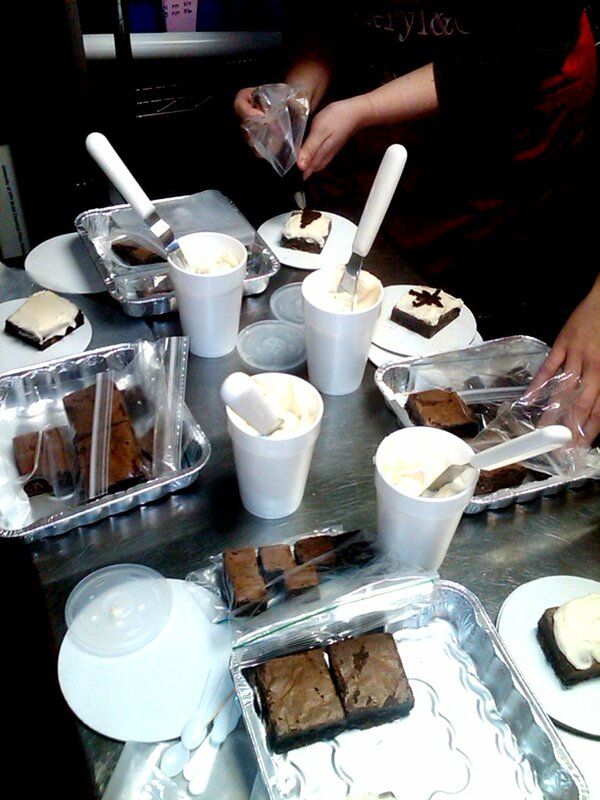 They were also so kind to send us all home with a huge bag full of cookies, brownies, and gift cards. What's even cooler is that they are going to be sponsoring a giveaway for a box of brownies.....so stay tuned to Peanut Butter and Pickle Reviews for that.